"We have information that they have not calmed down." 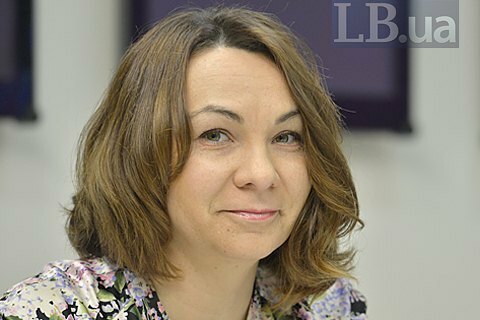 An expert with the Ecology-Law-Human, Tetyana Tevkun, fears that the agrarian lobby is working with people's deputies to block environmental bills that the parliament is scheduled to review on Tuesday. Speaking at a Gorshenin Institute round table conference on Monday, 22 May, Tevkun stated the opinion that President Petro Poroshenko last fall vetoed the bills precisely under the pressure of some agrarian associations. "We hear that these organizations keep working in that direction and are having impact on some people's deputies. Speculating on the topic of corruption, that is very sensitive in Ukraine, they claim that the bills are corruption-prone. We are convinced that they are just trying to topple the bills," she said. In Tevkun's opinion, agrarian businesses, notably in cattle-breeding, are the worst environment polluters, so they will fight the new rules of environmental assessment tooth and nail. "In the press, there are occasional reports about local communities protesting against pig farms in their neighbourhoods. In fact, there are a lot of such communities," she said. Tevkun recalled visiting a pig farm in Poland that was in sharp contrast with similar Ukrainian outfits in terms of cleanness and environmental standards. The expert said she hoped Ukrainian lawmakers who have once demonstrated their position will do it again and support environmental bills.